Want to learn more? 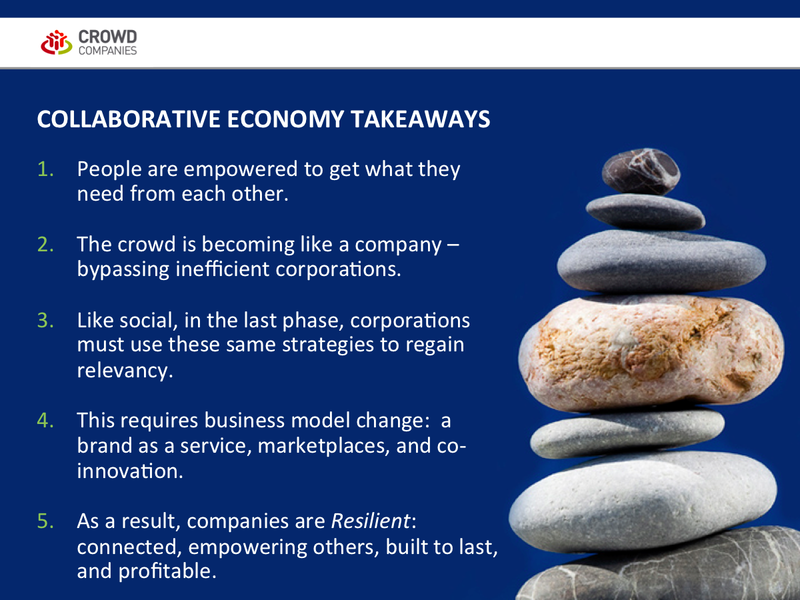 Advance and read the full body of work on the Collaborative Economy, or if you’re a large corporations, join the Crowd Companies Association, with 42+ other corporations. This post was originally posted last year, and I’m republishing due to ideal market signals as disruption accelerates.